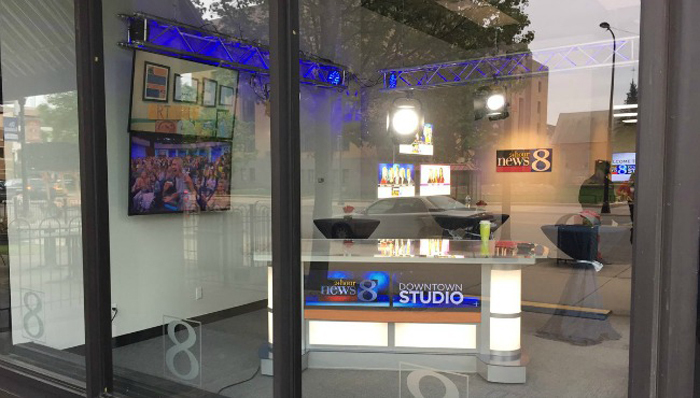 WOOD-TV (Grand Rapids), which recently announced a new streetside studio in downtown Grand Rapids, has opened a second streetside studio, this time in Kalamazoo, to be home base for a dedicated crew that will live and work in the community. The new Kalamazoo studio is in the Comerica Building at 151 S. Rose Streeet and features floor-to-ceiling windows overlooking Bronson Park. It’s equipped with cameras inside and on the roof, giving a bird’s-eye perspective of downtown. As part of the expansion, the station has announced that Bradly Gillum has joined the station to work out of the Kalamazoo facility. 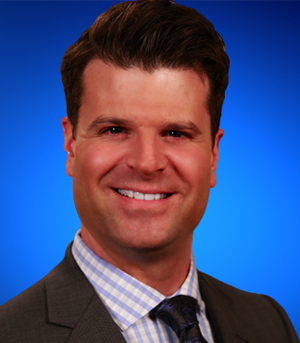 Gillum was most recently an anchor and reporter at KCWY-TV in Casper, Wyoming. Before that, Gillum spent nearly a decade as a prosecutor and defense attorney near Denver, Colorado. Gillum will work with photojournalist Nick Ponton, a 15-year veteran of the industry who has been with WOOD-TV for seven years. 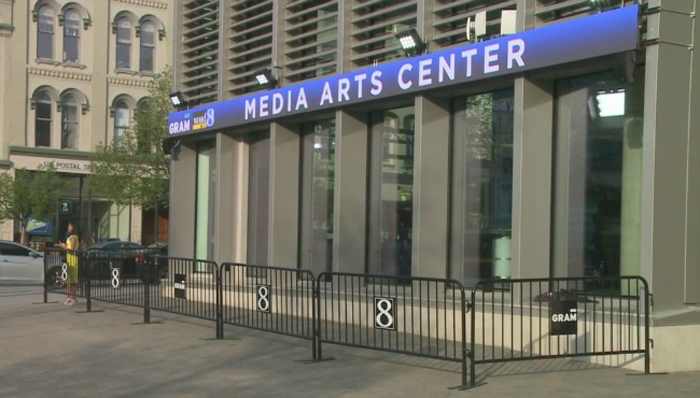 In Grand Rapids, WOOD-TV also partnered with the Grand Rapids Art Museum to create the GRAM WOOD TV8 Media Arts Center, which includes a studio overlooking Rosa Parks Circle. Last week the station did live broadcasts from both its new Grand Rapids downtown studio (located at the Grand Rapids Art Museum) and the new Kalamazoo studio. As part of the opening of its new downtown studio, the station recently looked back on 7 decades of service to Grand Rapids. See video report here.